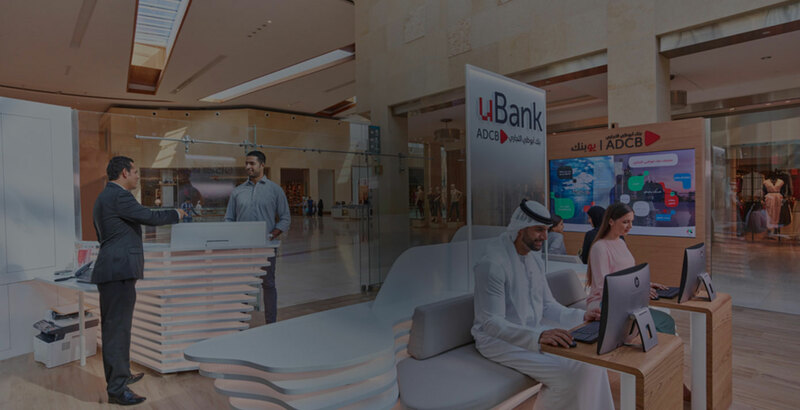 uBank is the new digital banking centre from ADCB that truly transforms the way you bank. 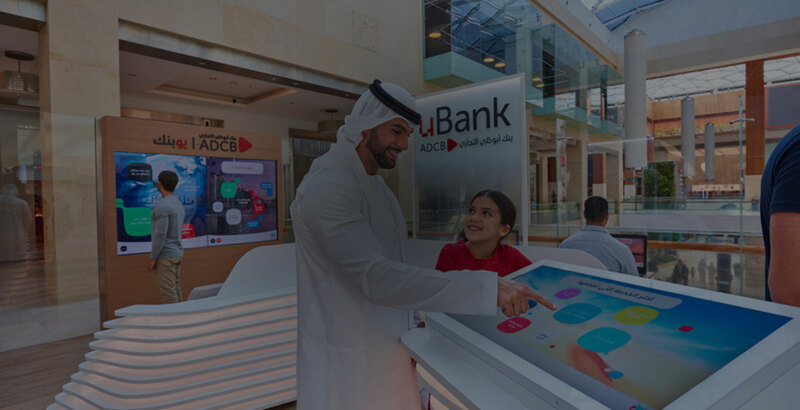 For the first time ever in the UAE, you can now instantly open an account, get a new credit card, replace your credit or debit card and print cheque leaves. Proof that the future of banking is finally here. Efficient banking, easy on the environment. There’s no rush to beat the clock. Banking is just a few steps away. Exclusive offers and promotions all year round. It pays to be smart. welcome limit* of AED 5,000 and enjoy a cashback of AED 350 on your first statement. *You will be informed about your updated credit card limit through SMS on your registered mobile number within 24hrs. Terms & conditions apply. * On maintaining a minimum balance of AED 5,000. Offer does not apply to ADCB Active Saver and ADCB Islamic Current Accounts Terms & conditions apply. 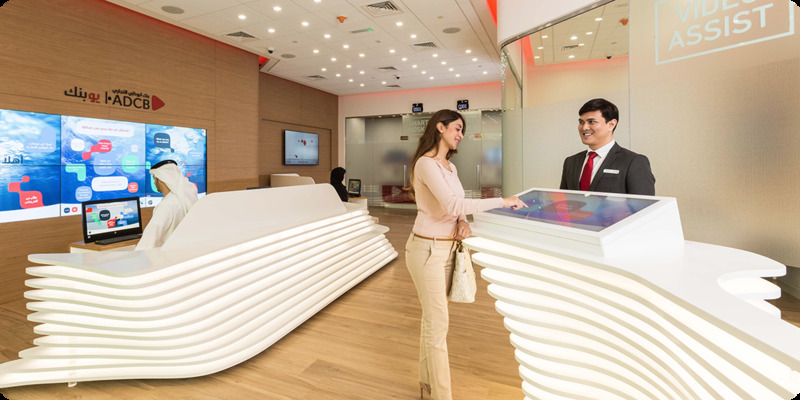 Experience the smart new way to bank. Start your relationship with us right here and collect your personalised debit card instantly. That’s not all! You earn 17,000 TouchPoints for applying through uBank. Walk in and walk out with a new credit card. Make it yours in minutes. 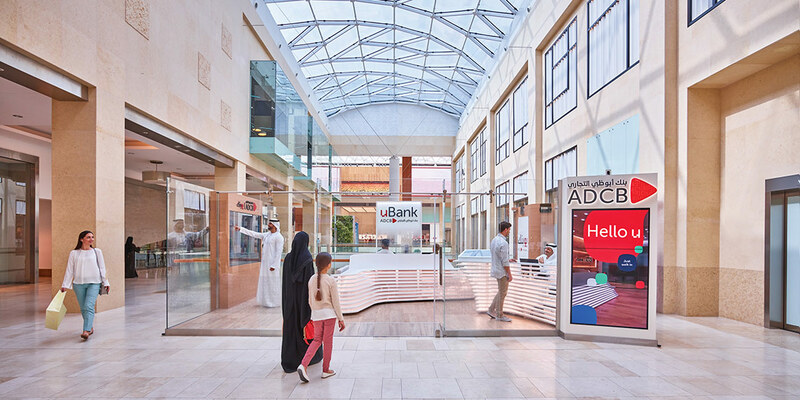 There’s a special surprise if you apply at uBank – AED 350 cashback. 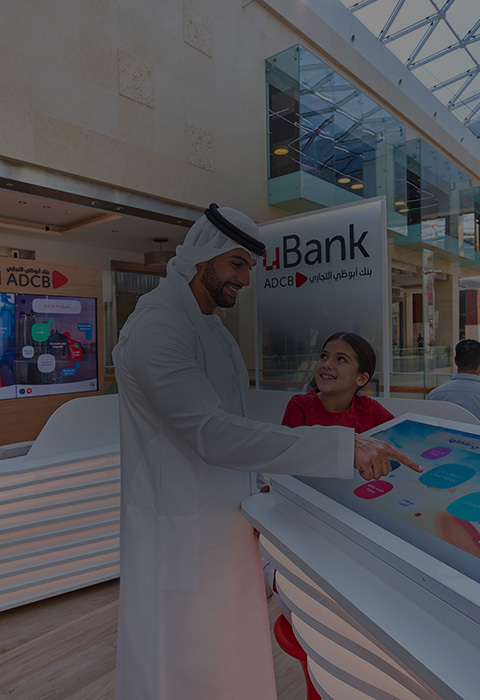 Visit the Smart Kiosk with your Emirates ID, passport or driving license and print your ADCB Credit or Debit Card by yourself, instantly. For supplementary debit cards, remember to carry a copy of the applicant’s passport. 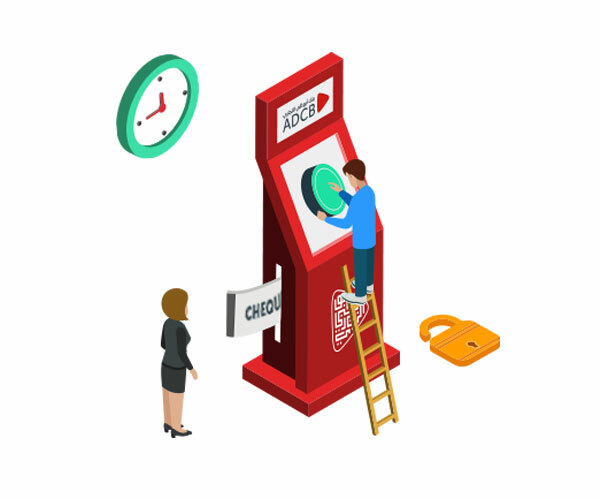 Print up to six cheque leaves per month instantly at the Smart Kiosk. Financial consultation through 'Video Assist'. 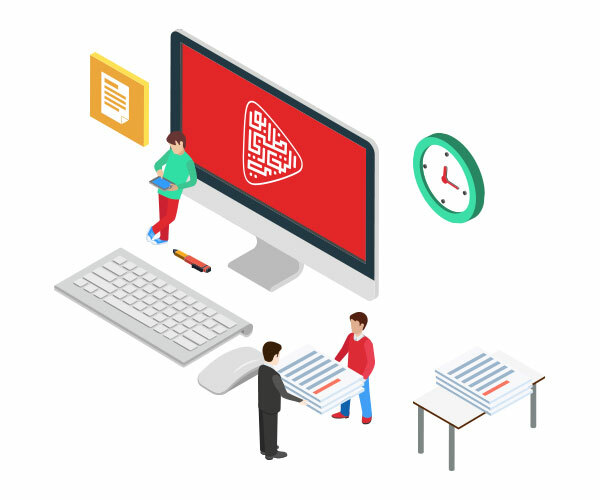 Connect and talk directly to an ADCB representative on your options on mortgages, investments and insurance solutions, all through Video Assist. 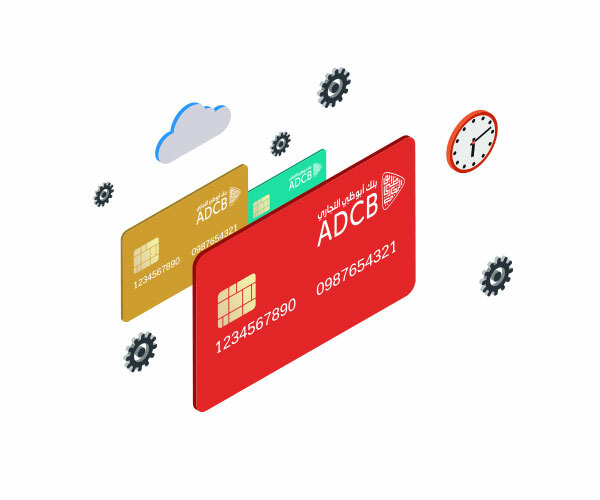 Be smarter and faster with your banking. 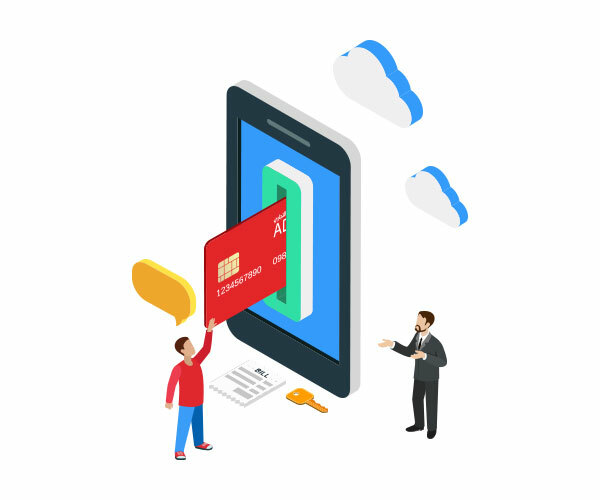 Take advantage of an all-new technology which gives you faster services including balance transfer, credit card loans, updating personal information and much more. Print your bank statement instantly. Visit the Smart Kiosk and print a copy of your bank statements. We request you to note that we do not stamp the same. Never worry about working hours. 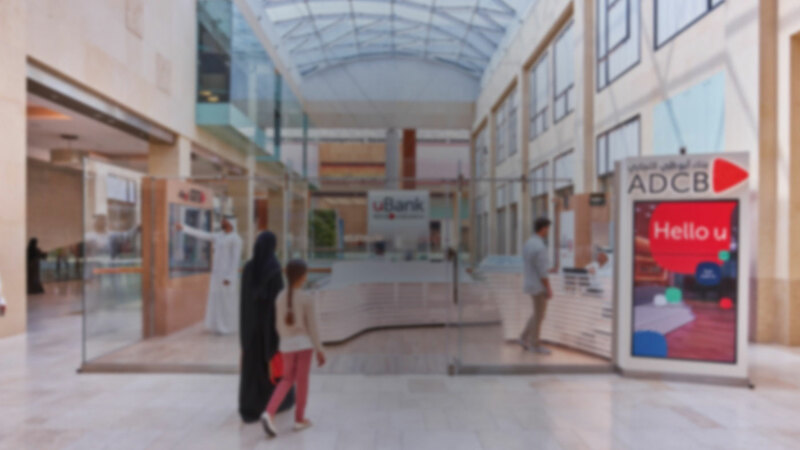 uBank stays open until the mall does, allowing you to bank at your convenience. You will be in and out of uBank before you know it. 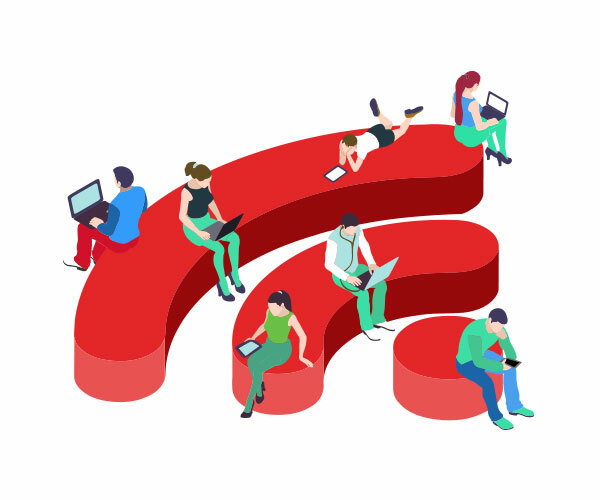 But should you wish to stay longer, feel free to browse the internet, check emails and stay up-to-date through our complimentary WiFi. What’s on your mind? Just ask! 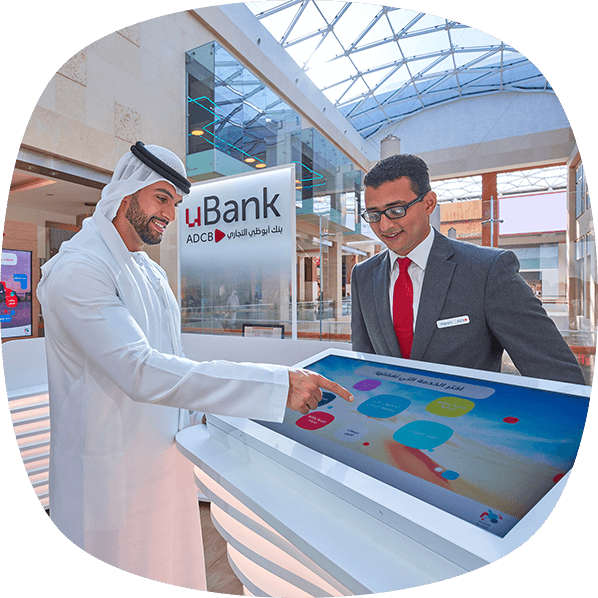 Discover our surface table, interactive wall, tablets or Smart Kiosk. Which cards can I print at the kiosk? When can I start using my card? Can I open any Account at the smart kiosk? 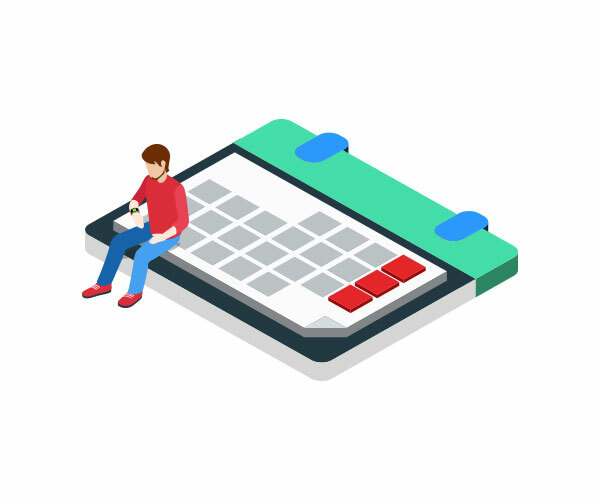 How soon can I use my Debit Card and cheque leaves? 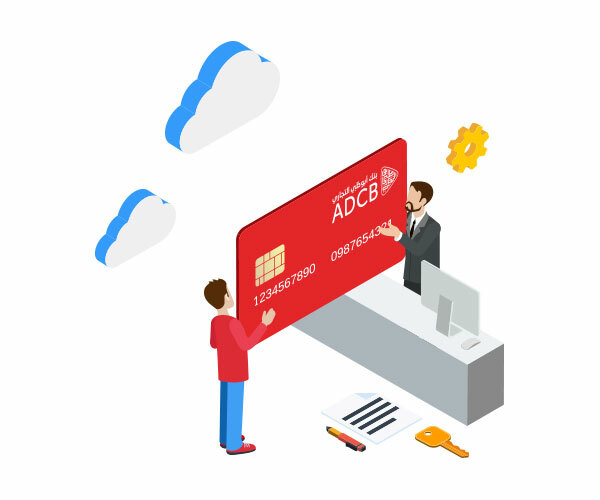 Do I need to be a primary cardholder to request for this service? Can I use my card immediately? 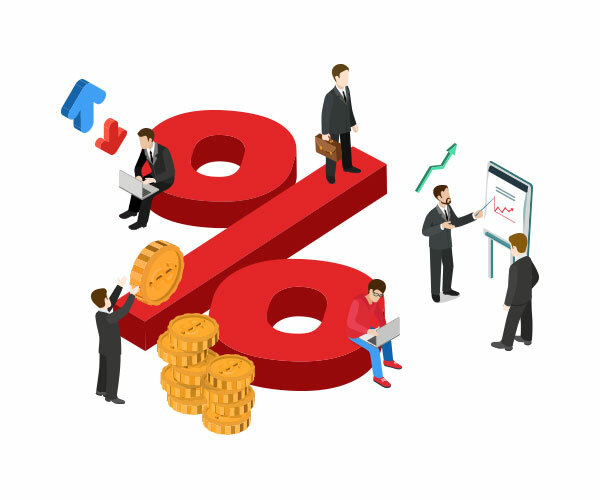 What type of financial consultation can I get? What are the fees and charges for this service? What kind of service requests can I raise? How many cheques can I print? Will this affect my cheque book eligibility on my account? What are the fees and charges? 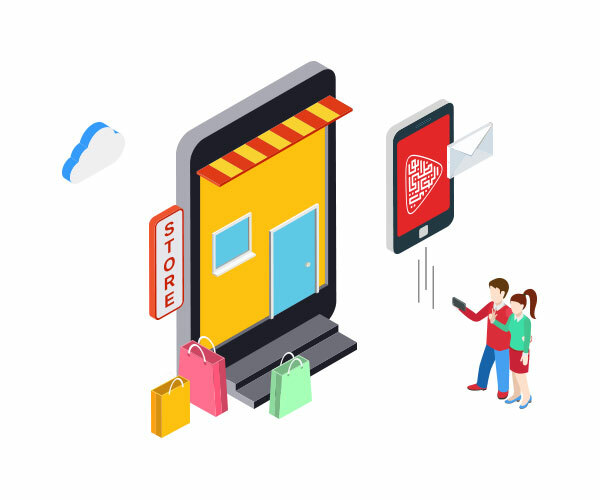 Where can you find uBank? We are open seven days a week, Saturday to Thursday from 10 a.m. to 10 p.m. and Friday from 3 p.m. to 10 p.m.